Anything can happen as they say. You can suddenly get fired or freed from your responsibilities at your workplace, you can turn ill and become unable to work for a longer period of time, if you have a family and your wife wants a divorce, you may have to end up losing a lot of money on the divorce process as well. If all this time you live in a property, for which you still owe a certain amount of money and your property also serves as a mortgage to secure your payment, then you need to take certain precautions, to make sure you avoid house repossession procedure to happen, even if you are unable to pay your debt for a few months. Therefore we thought to come up with a handful of advice as to what to do, possibly well in advance, to avoid any such situation. A repossession is a pretty unpleasant process which ends with you being evicted from your own home. So, take some or more of the below precautions to avoid this to ever happen to you. This sort of insurance has been devised specifically for these situations, when someone is unable to pay for a shorter period of time. Then the insurance would cover their costs and this gives time for you either to find a new job or to sell the property for a good price and pay back accordingly. When you have a debt towards a bank then winning time is essential for you. We know, it’s not that you have much of a choice. 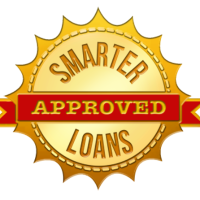 But what’s necessary is to pay as much as you can by yourself or yourselves before opting for a loan. The less you are contracted to pay, the less is the danger of a potential repossession if you are unable to pay. 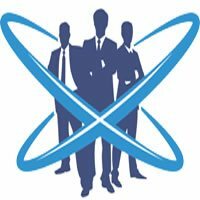 If it’s done correctly, financial advisor is not a bogus job but a very important one that can also serve your interests with several such advice which you would have never considered as a solution. You will need to pay for this sort of help, but if you find a certified proper consultant then he or she will really do the best for you to help. Try to keep your home for as long as possible. It’s absolutely hard to get another home, as you are still tied to the bank with the debt. And chances are you will find a job in the upcoming months, which will allow you to pay back at least a fragment of the original cost. If you can make a good agreement with the bank you may pay less for a couple pf months without a problem. As you can see there is so much you can do instead of not doing anything when you happen not to have money. Avoid repossession and start rebuilding your life with success.